"The kids aren't learning, they're just playing." Oh, how wrong we are! 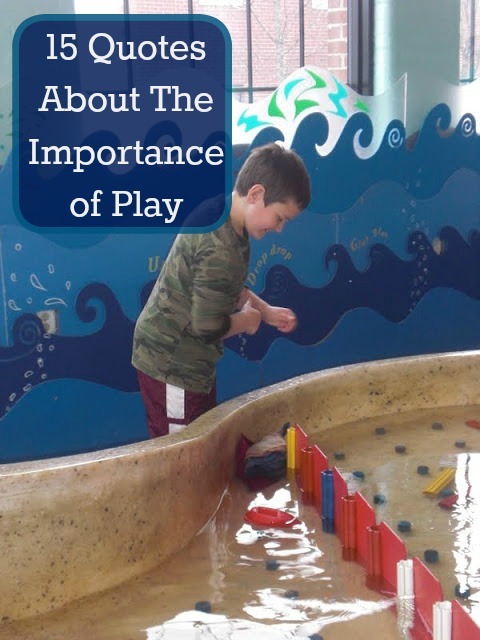 Kids learn so much by playing! We went,to the Providence Children's Museum to meet my sister and her two boys. We hadn't seen them in a while and the boys couldn't wait to get there. We ended up staying and playing for 6 hours. I loved the museum and so did the boys! I loved all the signs they had up about the benefits of play. Here are our photos from today with sign quotes all about play. (like when Alec asked the docent if he could make a bridge from one water table to another using mini pipes. It is an amazing museum; my kids always beg to go back. They sure are! I find just about anything can be turned into play!